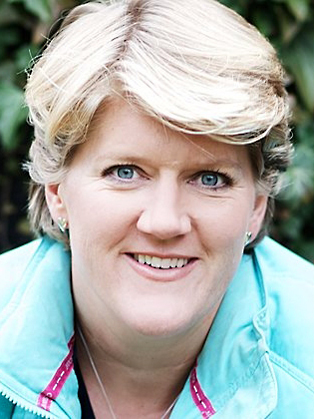 Winner of the BAFTA Special Award and RTS Presenter of the Year Award for her expert coverage of the London 2012 Olympic and Paralympic Games, Clare Balding is one of Britain's leading broadcasters. Clare has worked in radio since she left university in 1994, and has been presenting sports on television since becoming the face of the BBC’s racing output in 1998. Since then, she has worked on five Olympic Games, four Paralympics and three Winter Olympics, along with continuing to present Horse Racing for Channel 4. Clare can turn her hand to any sport - from racing to rugby league, swimming, golf or tennis. If a man jumps in the river during the Boat Race, you want Clare in charge, if it's pouring with rain during a river pageant, you want Clare on board. Clare has hosted walking series Ramblings on Radio 4 since 1999, and in 2010 she also presented Britain By Bike on BBC4 and Crufts for the BBC and More4. She has worked on Britain's Hidden Heritage and Countryfile. In December 2012, Clare became the host of BBC1’s ‘Britain’s Brightest’. A bestselling author, Clare's first book, My Animals and Other Family was published in 2012. Based on her childhood growing up in an unusual household, it was published to critical acclaim and went onto win biography of the year at the National Book Awards. Clare is an expert at live major event presentation, such as the Diamond Jubilee, the Lord Mayor’s Show or Trooping the Colour, but she also has an uncanny knack of getting the most out of interview subjects - as illustrated by her work on Radio 2’s ‘Good Morning Sunday’. She is an experienced host of awards ceremonies, a lively and amusing after dinner speaker and an authoritative voiceover artist.